Here it is. A very cute thank you from kids around the world for their Compassion International Sponsorship. 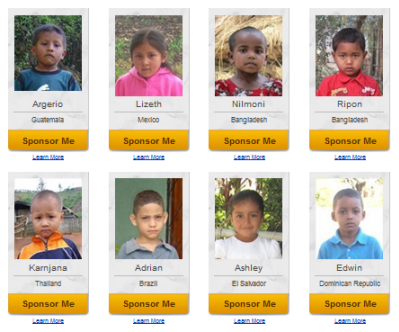 If you want to sponsor a child, visit the page below to start. Sponsorship is $38 a month and provides food, clean water, medical care, educational opportunities and the good news about Jesus Christ. When you sponsor a child, you’ll receive your child’s photo, personal story and a child sponsorship packet. When children find out they’ve been sponsored, the joy they feel is indescribable. Just knowing that someone across the globe cares means more than you can imagine. Sponsoring a child will profoundly change the future for your child, and will change your own life as well.